Wood stains are synthetic coloring solvents/agents that are used to color or coat wood. Wood Stains Poisoning is the accidental or intentional intake (via swallowing, breathing-in, or skin contact) of wood stains. What is Wood Stains Poisoning? Wood Stains Poisoning may be also referred to as Wood Stains Toxicity. What are the Causes of Wood Stains Poisoning? What are the Signs and Symptoms of Wood Stains Poisoning? The signs and symptoms of Wood Stains Poisoning can vary from one individual to another. It may be mild in some and severe in others. Several systems of the body, such as the digestive system, nervous system, vascular system, respiratory system, skin and ENT may be affected. How is First Aid administered for Wood Stains Poisoning? Who should administer First Aid for Wood Stains Poisoning? 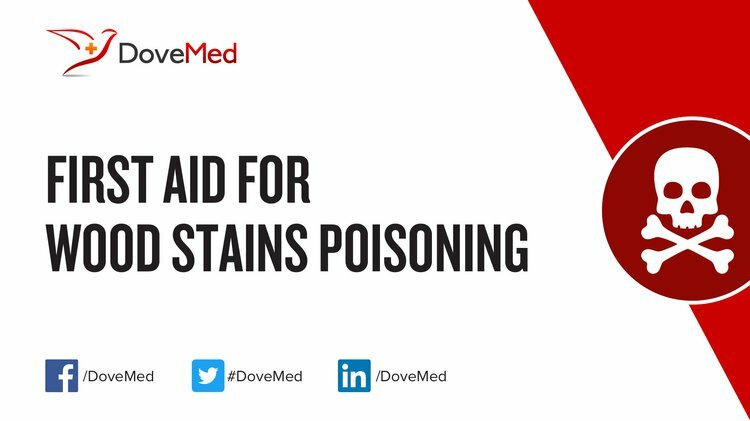 First aid for Wood Stains Poisoning is administered by healthcare professionals. What is the Prognosis of Wood Stains Poisoning? How can Wood Stains Poisoning be Prevented? Witkowski, W., Surowiecka-Pastewka, A., Biesaga, M., & Gierczak, T. (2015). Experimental Comparison of Efficiency of First Aid Dressings in Burning White Phosphorus on Bacon Model. Medical science monitor: international medical journal of experimental and clinical research, 21, 2361. Hovda, L. R. (2013). Effective Use of a Veterinary Poison Control Center. Small Animal Toxicology-E-Book, 26. Dubey, N. P. (2015). Acid Violence Cases and Its Forensic Aspect. EDITORIAL BOARD, 82. Unger, A., & Unger, W. (2010). Stained wood: the identification of natural dyes and mordants in wooden works of art. In 41st Annual Meeting of the International Research Group on Wood Protection, Biarritz, France, 9-13 May 2010. IRG Secretariat. Hovda, L. R., Brutlag, A. G., Poppenga, R. H., & Peterson, K. L. (2016). Ethylene Glycol and Diethylene Glycol. Blackwell's Five-Minute Veterinary Consult Clinical Companion: Small Animal Toxicology, 78. Burgher, F., Mathieu, L., Lati, E., Gasser, P., Peno-Mazzarino, L., Blomet, J., ... & Maibach, H. I. (2011). Part 2. Comparison of emergency washing solutions in 70% hydrofluoric acid-burned human skin in an established ex vivo explants model. Cutaneous and ocular toxicology, 30(2), 108-115.